Jason Day had his breakthrough at the 2015 PGA Championship, where he triumphed to capture his first major title. He went on to win five more times between August 2015 and May 2016 while being ranked No. 1 in the world. But since then Day has struggled. So far in 2017, the Australian has only two Top 10s and has missed four cuts, while also dealing with his mother's recent cancer scare. "The only reason why I think a lot of people think I'm slow is that when I was playing well, I was in a lot of groups on Sundays, in the last few groups and usually everyone takes their time on the last few groups on Sunday," he said. Day continued by defending slow play when he believes it is necessary. "I think at the end of my career no one is going to go, 'He was a great golfer, but he was slow.' ... To be honest, I don't really care what people say. I need to do what I need to do to win a golf tournament. And within reason of respecting other players and the Rules of Golf." Later in the press conference, Day acknowledged that Tiger Woods had contacted him with a tip for his putting: "So obviously it's great to have a set of eyes like Tiger's, especially who's one of the best clutch putters of all time, to be able to kind of see on TV what you're doing wrong. So just trying to tidy up a little bit and hopefully I putt a little better this week. But, yeah, I had a chat to him and he seems like everything is doing OK with him. I was just trying to tidy up a little bit with the putting this week." Day also said that his personal life may have gotten in the way of his game earlier this year, but that he is in a much better place now. "I had the scare with my mom at the start of the year," he said. "When you feel like you're going to lose someone that are very close to you, there's nothing you want to do more than just be with them and you don't even want to think about playing golf or even think about working. 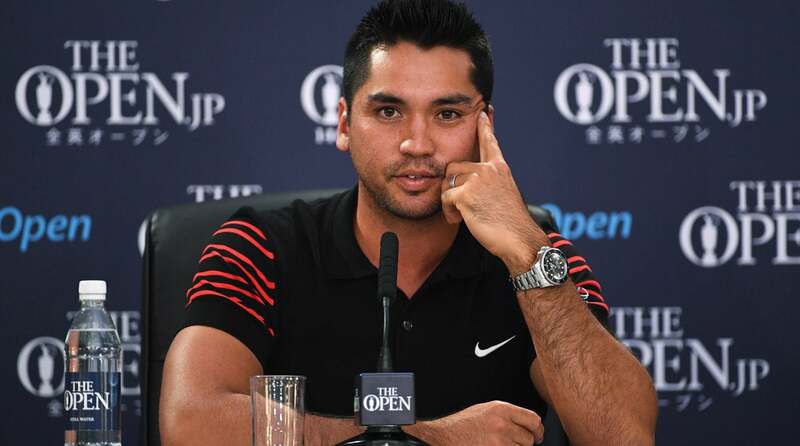 ... Obviously the time that I would be spending working and practicing, it caught up to me and I hadn't been playing as great as golf as I should have, but within reason." While those problems proved to be distracting earlier in the year, Day now says, "everything seems like it's kind of coming back into balance for me." He tees off for the first round at Royal Birkdale at 8:04 a.m. ET Thursday (1:04 p.m. local).